Cebu Pacific P799 promo fares now available for booking to select Philippine domestic routes until April 30, 2017! 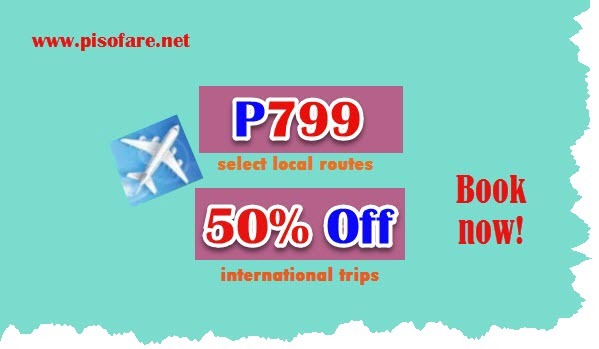 Book as low as P799 sale tickets for Cagayan De Oro to Bacolod or Tagbilaran or from Cebu to the Visayas routes of Calbayog, Ormoc or Roxas. Promo tickets from these routes are also available going to their origin: Cebu or Cagayan De Oro. Lowest fare for return flights to Cebu and Cagayan De Oro is P499. From Manila, you can fly to Tablas or Naga for only P1,099. Want to travel to international destinations? The 50% Off promo for international trips is ongoing! Manila to Bali flight is as low as P3,399 ALL IN Fare. Sale tickets to Dubai, Kuwait or Sydney can be availed from airports outside Manila. Come on! Book the low fares the soonest possible time! Sale tickets are limited and on a First Come, First Serve basis! Quoted promo tickets of Cebu Pacific are valid for one-way travel. Return flight or round trip tickets can be availed subject to promo seat availability. 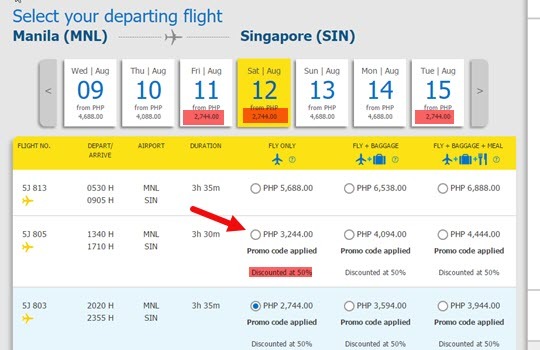 The Singapore to Manila promo ticket SGD 98.50 is equivalent to P3,3534.00. 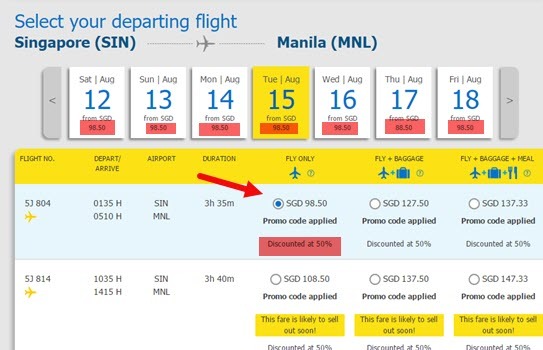 The Cebu Pacific sale seats can be booked via the airline website: www.cebupacificair.com. Buying the low fares can also be done through Cebu Pacific ticket offices, booking outlets and travel agencies. What are you waiting for? Book or buy the cheap Cebu Pacific tickets fast! Want to receive notification on the latest promo or travel news? LIKE our Facebook: PISO FARE TICKET for more Cebu Pacific, Philippine Airlines and Air Asia promo fare 2017- 2018, PISO FARE and travel updates!!! Good day! Pwede po pa send sa email ko if may cheapest promo from Manila to Masbate July 20,2017 alis ng Manila from Masbate to manila July 24,2017.Thanks and God Bless!